Solar Cycle 24 Could Be 13 Years Long – Cooler Times Ahead? | Watts Up With That? Solar Cycle 24 Could Be 13 Years Long – Cooler Times Ahead? 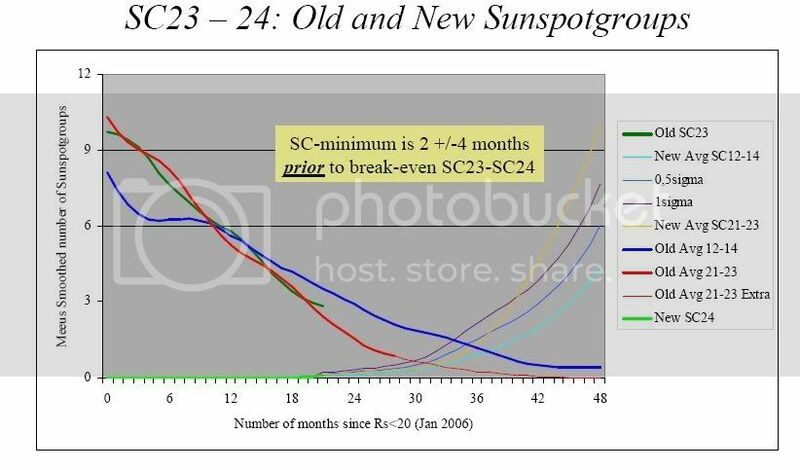 On Climate Audit’s unthreaded comment forum, David Archibald noted some interesting facts about the solar cycle lengths and upcoming Solar Cycle 24, and provided the graph above. Solar Cycle 20 was slightly longer than average at 11.6 years. The average solar cycle length from 1643 to 1996 is 11.4 years. Now that Dr Svalgaard has mentioned it, let’s talk about Solar Cycle 21. It was short at 10.3 years and hot (it started at the same time as the PDO shift in 1976) and was followed by a solar cycle 22 which was shorter again at 9.6 years and hotter. According to Friis-Christensen and Lassen theory, Solar Cycle 23 should have been hotter than Solar Cycle 22, and it was, even thought it is going to be a long one at about 13 years. There is plenty of correlation, all in our lifetimes. As for the physics, Hathaway found a correlation between Solar Cycle Length and the amplitude of the following cycle. As for Solar Cycle 23 being almost done with, those are comforting words but the observational data suggests otherwise. Jan Janssens does it best – a recent plot is above. That suggests that we have a year to go and that Solar Cycle 23 is likely to be 13 years long. This is 3.4 years longer than Solar Cycle 22 and thus with mid-latitude temperatures responding at the rate of 0.7 degrees C per year of solar cycle length, Solar Cycle 24 will be 2.4 degrees cooler than the one we are still in. The sun, of late, is remarkably free of eruptions: It has lost its spots. By this point in the solar cycle, sunspots would ordinarily have been present in goodly numbers. Today’s spotlessness — what alarms Dr. Chapman and others — may be an anomaly of some kind, and the sun may soon revert to form. But if it doesn’t – and with each passing day, the speculation in the scientific community grows that it will not – we could be entering a new epoch that few would welcome. Looking back at the full record of sunspot cycles, we can see this general behavior of short active cycles and longer, quiet ones. Successive 11 year cycles are different in their magnetic fields and the 22 year Hale cycle has in the past been related to some phenomena such as drought. Longer term cycles are apparent when you carefully examine the data. Very obvious from the long term plot of the 11 year cycles is the approximate 100 (106) year cycle. There is also a 213 year cycle. The last 213 minimum was in the early 1800s. The turn of each of the last 3 centuries has started with quiet long cycles with mid-century shorter, higher amplitude cycles. The quietest period was in the early 1800s (the Dalton Minimum). The 100 and 200 year minima are due the next decade suggesting a quieter sun ahead. I’ll take Global Warming any day of the week and twice on Sundays over a Little Ice Age. June 2, 2008 in Uncategorized. Jan Janssens does it best – a recent plot is above. 10 May 08 – The SIDC-smoothed Wolfnumbers show that a minimum was reached in September 2007 (5,9 – see graph underneath). The reason this is not frontpage news, is that 5 of the 7 subsequent monthly Wolfnumbers were lower than the smoothed September value. It is thus more likely that the smoothed Wolfnumber will decrease again in the coming months. How long depends on this summer’s solar activity and thus the monthly Wolfnumbers. Some simulations for the months from May through August 2008 have shown that if the monthly R-values are between 5 and 10, a minimum around January 2008 will be reached. If the solar activity stays low and the monthly R-values vary between 0 and 5, the smoothed Wolfnumber will continue to decrease. How long will then depend on the further evolution of the solar activity. Last year’s prediction by the NOAA/NASA panel of a March 2008 solar cycle minimum (+/- 6 months) seems currently still quite solid. As for the physics, Hathaway found a correlation between Solar Cycle Length and the amplitude of the following cycle. So the physics is there also. cycle 23 long, cycle 24 weak. One more time: the length of a cycle is not a good predictor of the size of the next cycle. Hathaway’s ‘relationship’ comes about simply because cycles come in groups: several weak cycles together followed by several strong cycle. That produces a weak correlation between length and size, but not one that can be used for prediction, because it fails when it should count the most, namely at the transition from a weak to a strong group and from a strong to a weak group. F-L postulated [as you do – although hardly a theory] that longer cycles were cooler, so the longer cycle 23 should have been cooler than 22 and it was not. You should assume that people check up on you before making unsubstantiated statements. Anthony, I’m not sure I support the terminology on the last chart – hot sun / cool sun – and would prefer active sun / inactive sun instead. Though Its an excellent chart. I think we need to think about ways solar magnetic activity may affect Earth climate and in addition to that we need to consider angular momentum / gravitational influences of the whole solar system and the impact that may have upon circulation within the Sun (sunspots) that may simultaneously affect circulation of coupled ocean / atmosphere system on Earth and upon Earth’s liquid core – that controls Earth’s magnetic field. Variations in irradiance may also play a roll – just not yet measured by SOHO (?) – leading to a complex interplay of variables, not yet quantified, but which correlate with sunspot and Milankovitch cycles. Like you, I am somewhat more concerned by the prospect of a cooling climate. It boils down to where you live – and I believe we will see some great skiing in Scotland in the years ahead. Shame about the old folks living in poor housing faced with escalating energy bills. It would be interesting to see an overlaid temperature graph. Of particular interest to me would be the period 1940-1970 when we had a cooling period. If the solar cycles are driving the PDO, then there is a definite lag or inverse relationship. That peak in 1955 is right in the middle of the mid-century cooling period with a drop-off through the 80’s when it began warming again. I agree 100% about global warming versus global cooling. One of the most neglected aspects of the AGW debate is the benefits of a warmer climate versus that of a colder one. What saddens me most is that a colder climate is more apt to cause more severe weather than a warm one, yet the AGW proponents seem to have convinced the public that severe weather is all a product of global warming. As a long time member of the Weather Underground site, which actively promotes “climate change” as being man made and obviously bad, I am often chagrined by the bias. However recently Dr. Masters posted a poll which basically asked whether or not global warming is natural or man made. Over 700 votes have been cast and a slight majority believe it is natural. Although not a scientific poll by any means, I find the result interesting for a couple of reasons. This is a site that actively promotes the IPCC doctrine even to the point of having special feature blogs on the subject and the people who are members of the Weather Underground (you must be a member to vote) are obviously for the most part weather geeks. I would surmise that they would have a better understanding of weather and climate than the general public. Can’t say I see much connection there, personally, but with something with as much inertia as the Pacific Ocean, I’m not sure you’d expect to. More then one cycle? How do we know the sunspot numbers from 1700 when many people back then still though we were the center of the uinverse and telescopes were still a rare item? I couldn’t agree more. I cannot under any circumstance get a True Believer to see that. They argue that the world’s 6+ billion population has caused the warming. It’s actually exactly the opposite. The warming has created an environment where 6 billion people could survive. We get another Little Ice Age, coupled with government carbon-trading schemes that turns the heat off in a lot of places, and the result is going to be a humanitarian disaster. It took parts of Europe until the early 20th century to recover to MWP population densities. On the question of these longer-term cycles, I’m not sure I see much evidence for anything other than the 100-year one, but granted that is pretty significant. The major peak is of course the 11-year cycle around harmonic 22-24 (2008-1750=258; 258/22= 11.73; 258/24 = 10.75). There also seems to be a reasonable spike at harmonic 26, which would give some shorter cycles of around 10 years (258/26 = 9.92). For the longer term cycles there’s a reasonable count at harmonics 2 and 3, which indicate a cycle at between 86 (258/3) and 129 (258/2) years. That’s as accurate as I can be with the current software I’m afraid (I know it needs improvement, not least in speed!). There isn’t enough data to speculate about anything longer than that; Mr Nyquist says so. But there are some dogs that aren’t barking in the night here; in particular, for a cycle of 22 years you’d expect a peak around harmonic 12, and it just ain’t there! Which is worse: to freeze to death and starve due to cold weather, or to freeze to death and starve because of government regulations to cure a non-existent problem ? I think we are in the tank either way. It shows the current SC 24 – SC 25 transition line against prior trend data from 20th C vs. 19th C data. The current trend is unmistakably following that of the early 19th Century Dalton Minimum. 1. What happens if atmospheric CO2 doubles? 2. What happens if the sun goes quiet for an extended period of time? The answer to No. 1 appears to be: “not very much”. The answer to No. 2 will reveal itself in the coming few years. I tend to think the sun is going to trump CO2 big time. I would expect this to be no momentary blip in the sun’s output. Solar grand minima last at least 45 years (Oort Minimum?) and up to 90 (Maunder). What is evidently a profound shift in solar regime has already been preceded by an ongoing TSI dimming since the mid-1990’s, contributing -0.1 degrC cooling effect (warmists have pointed to this as a masking effect). In 2001, Shindell (NASA/GISS) modeled TSI role in the LIA & found that the lowered TSI of the Maunder Minimum would in fact have precipitated the LIA. He may have missed an important point however by failing to account for the preceding Sporer Minimum. But all the same, he acknowledges at least -0.3 degrC GST cooling & even more-profound inland cooling effects. And Shindell’s study, circa 2001, did not include GCR/cosmic rays or magnetic storm flux, changes which may introduce a net cooling effect during solar grand minima from increased cloud cover & lost heating effect at the magnetic poles. The warmists will claim this is only a reprieve, but by their logic it’d provide a significant offset against AGW. Were they to be realistic about their own claims, they’d concede it’d enable us to phase into a lower-carbon society more sensibly on a technological time table vs. a crash program that’d be counterproductive in terms of spare affluence. In terms of worst-case AGW scenarios, it’d buy 50 years of economic growth and technological development and a net reduction in the heat content of the ocean that future warming would again have to overcome. A richer and more technologically capable civilization may not only be able to better afford to address warming, but may also be able to do it more cheaply and insightfully. Either way, this diminishes the alarmist cant. “… “What might happen is that the sun gives the planet a welcome respite from the ravages of man-made climate change – though for how long, nobody knows. During the Little Ice Age, the fall in average global temperature is estimated to have been less than 1 Â°C and lasted 70 years. The one before that persisted for 150 years, but a minor crash at the beginning of the 19th century lasted barely 30. For now, we will have to keep watching for falling sunspot numbers. “The deeper the crash, the longer it will last,” Weiss says. The SIM (solar inertial motion) hypothesis is controversial – but it seems to have predicted what is happening now. If it is true, we are definitely headed into an extended period of low solar activity. What am I looking at in that graph? What happens if you look at the integrated area under the sunspot curves instead of ‘the length’ and ‘the peak-height’? Some of the longer cycles have lower peaks, some seem moderate – so the correlation (if any) might be more apparent when looking at the integrated area instead. This is obviously backward, should be: Solar Cycle 23 should have been cooler than Solar Cycle 22. I make a similar mistake while commenting all the time, so I’m inclined to be understanding. Hathaway’s prediction for 24 employed the Geomagnetic amplitude following SC SSN max to directly predict the next SC SSN max. I believe Leif’s confusion followed Dave’s confusion; no one could sensibly use prior SC length to predict the next SC length and I see no hint of this in the CA thread. The exchange between these two has become too acrimonious to be nearly as rewarding as a soliloquy by either. The former is not obtaining, along with other measures, and solar activity is continuing to decrease. Smoothed values are great for symposia power-points but do not neglect daily raw data for near term behavior. What is the cause of the current 5 year decline in OHC? Something changed sometime around 2003 or before, but what? Shouldn’t OHC be the true measure since oceans are responsible for 80-90% of “global” warming? What other than the sun can warm the oceans? What other than less solar radiation reaching the oceans can cool them? Volcanoes? Nope, can’t blame them. Clouds? Ok, why do they increase? If oceans don’t warm, there can be no global warming. Remember, OHC was the Hansen/Willis/Schmidt et al “smoking gun” in 2005. It may have been shooting blanks. Steve McIntyre sometimes has a habit of labelling his graphs poorly. Hopefully, if it is a minimum, it is more like the Dalton than the Maunder. Otherwise, we’ll be having an immigration problem from the north rather than the south in the future. So, are we at the beginning of a change to a weaker set of cycles? If so (from reading your comment) do you believe this will result in a general cooling trend for an extended period (30 years or so)? I think you are mixed up a bit. The average peasant of the time could not even read, many more lived and died in complete ignorance. yet Galileo, Newton, Franklin etc. made dscoveries that laid the foundation of our modern society. Science is not a concensus process. Individuals spearhead discoveries. Instead of making mockery of the past you need to perhaps realize that these men achived enormous breakthroughs during times when 90% of the population was completely ignorant. They, and others after them, recorded what they saw, and yes the universities and other organizations they worked at, have kept scientific writing and other records, from this time, and long before. So, we have records, of temperature, weather, wind, rain, sun, sunspots, harvests, tree logging, etc, etc, etc, from hundreds of years ago. In some cases going back nearly a thousand years. These are useful and in this situation might provide critical information. Where is the missing heat? Yesterday on climateaudit.org I asked for clarification of the David Archibald graph that you reference. I called attention to what seemed, (to me), to be a problem starting around 2008. A legend identifying the various curves would have helped. A response might have been made to my question, but changes in post numbers has left me uncertain on the issue. DR: solar-OHC lag is about 10 years. Seems to me consistent with a lower TSI (-0.1 degrC) since 1995 *AND* the vast heat loss from the ’98 el Nino. If the ’98 el Nino is and -0.1 degr TSI offsets are enough to offset and plateau the warming trend, then you have the strength of the human GHG (CO2, methane) signal. AAMOF the lower temperatures in the stratosphere are actually from Pinatubo’s ozone-destroying aerosols releases. Since ’93 the stratosphere has been going through a slight warming (contradicting AGW hypotheses). Before then there was no apparent AGW signal in the stratosphere (the predicted cooling), just normal inverse correlated oscillations against surface temps. Interestingly, however, the stratosphere actually *heated* during the peak of the ’98 el Nino, demonstrating that a great deal of the excess heat in ’98 went out into space. IOW the stratosphere will warm when its awash in outbound heat that is in excess of functionally advected LW GHE heating. Essentially this is what Trenberth conceded, there are discussions on RC about it, even Gavin at RC has conceded (in 2006) it might gone out into space. Better accounting in the heat budget of the newfound *net heating effect* of aerosols (Ramanathan), soot-driven Arctic melt (another 15% centennially and 1/3rd ongoing decimation) and proper accounting for surface ozone — all would subtract yet more heat out of the CO2 ledger column, making for a lower longterm AGW signal. The weird compounding effect of brown clouds which are heavy in tropospheric soot TS is that they dim the surface (a slight cooling) but seriously disrupt regional hydrological cycles leading to inland drought and yet more temperature anomalies. Not widely known but this is what led Ramanathan to get into trouble w/ the IPCC during INDOEX 2003 that the Indians & Chinese sought to suppress the studies via IPCC funding cuts for INDOEX. It’s canonical in AGW politics that soot is the carbon that must not be named. The falling solar effect may last half a century. Naturally the AGWers claim that these are only temporary reprieves. But what they are admittedly missing is an understanding of the effects of aerosols amd clouds. The question of the errant OHC reveals they are genuinely just as confounded by speculation as anyone else. My lay speculation is simple: It’s in the clouds. The observed increase in cloud cover & rainfall suggests to me: 1) Increased hydrological cycle rate due to near-surface CO2-water vapor (WV) feedback, or 2) Increased cosmic ray cloud-seeding (the TSI has fallen since 1995), or 3) Aerosol cloud-seeding. These conditions would lead to net OHC loss even w/ enhanced WV & relative humidity (RH). Case #1 (above) by itself has suggested to many that an unforeseen heat-exchange function exists that is offloading heat into space (via ENSO? — what about AMO, PDO & AO?) driving increased cloud cover & advective & convective heat loss. Consistent w/ #1 is that the AGWer expected increases in RH & WV in the mid- to upper-troposphere have not been found, along with the WV shadows akin to Lindzen’s Iris Effect. Case #3 (above) has been documented by field data, wintertime storm seeding from tropos. soot (TS). Case #2 I’m not clear on. That aerosol surface dimming / lowered evaporation effect would lead to lower WV & RH, but would also lend toward lower evaporative cooling of SST in places where the dimming is worse and ocean currents tend to introduce heat in those locale. The ENSO would displace the heat into the Southern Hemisphere (SH) where the dimming effect is least, suggesting to many that indeed the ENSO is shedding heat. To me this would seeem far more incriminating of aerosols than CO2 — aerosols are slowing the evaporative heat-pump capacity of the seas. It’s been suggested here also that the emissivity:insolation of open polar waters would also lead to a net heat loss. That progressive decimation of Arctic ice from sootfall might paradoxically lead to both lower albedo *and* anew emitted heat (as opposed to high-albedo heat rejection) is an ironic result of the Earth’s 23 degr Axis tilt. IOW, at extremes of low to high ice conditions, the Arctic may function to either shed or reject heat, either through emissivity or albedo. An ice-free Arctic, IOW, could be as much a benefit as a fully iced one, in terms of total Earth heat content. From what I’ve seen, the accounting for this in polar ice models hasn’t been modeled to the extremes and has relegated emissivity behind albedo. Better yet oceanic reuptake of CO2 is higher during ice ages through either biogenic or thermodynamic absorption, and yet coral reefs & benthic fauna survived the presumably higher carbonic acid levels just fine. Carbonic acid is a much weaker acid than either sulphuric or nitric acids, and air pollution dumps plenty of both quickly into the seas perhaps falsely implicating AGW & CO2’s role in current coral bleaching, etc. Again the effects would be regional by aerosol concentrations, not global, hence leading to yet more climate confusion. All aerosols (soot, sulfates, nitrates) & ozone have a short atmospheric half life and can be readily mitigated. Likewise were industrial & transport sources of albedo-diminishing soot reasonably mitigated, the boreal ice pack would be reclaimed. Other side-benefits of soot mitigation would be significantly lower arsenic & mercury deposition and so on. If you put 10 monkeys to predict SC 24 they would probably do it with higher precision than scientists. Now I don’t want to make fun of those studying the sun but just want to make a point that we still know little about the sun. It is much about guessing and statistics still and too little about physical calculations. We only seem to be able to predict the sun if it behaves roughly as before. Another thing I have noted is that all the solar minimums pointed out in the graph above has very low sun spot number between the shift between 2 solar cycles. This seems to only happen when there are weak cycles ahead and never when we have medium and strong cycles. So just by looking on that fact there is close to 100% probability for weak cycles to come. The closer the sun spot number is to 0 between 2 cycles the closer we get to a new Dalton minimum sun. What other than the sun can warm the oceans? What other than less solar radiation reaching the oceans can cool them? One question that’s being studied is how much solar faculae (the bright side of sun spots) also emit visible light near-infrared “heat” that is indeed absorbed by the oceans. There’s a correlation, or it may very with type of solar faculae. That same visible “heat” is reflected in tropospheric brown clouds from sulfates into soot particles, resulting in the net heating from brown clouds (despite the surface dimming). Other studies clearly state that ocean heating lags solar max by 10 years. FWIW UV heats the mid troposphere during solar max. OK, cool. I googled “ocean heat content” and everything I get is only up to 2003. Is that because OHC has plunged and no one on that side wants to talk about it anymore (kinda like Antarctic ice levels)? I did see a mention somewhere that it dropped a lot in 2005, but was still higher than it was in 1993. What’s it done since 2005? The graf seems to show the temperature at different altitudes around the tropics. I think it is +/-20 degrees around the equator. The value 800hPa – 200hPa reflects the atmospheric pressure at the altitude where the temperature is meassured. I am not sure what data it uses, if it is weather balloons or satellites. UAH got public satellite temperature data for different altitudes. Possibly the graph is created using data from UAH. 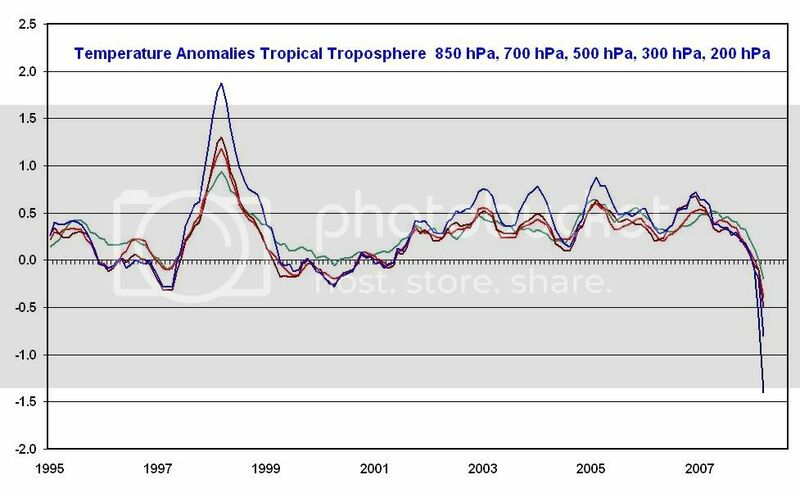 Obviously there has been a sharp decrease in the troposphere around the tropics the last year. MattN: Archibald’s own comment on his graph: “there are quality control problems which are irresolvable in the time allotted”. Bill: yes, I think we are in for a few low cycles. 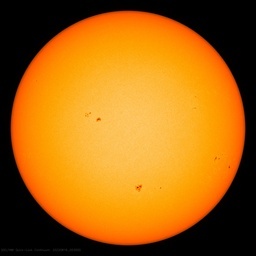 If Bill Livingston is correct [as he just might be] sunspots will become invisible by 2015. In my opinion, the Earth’s atmosphere will NOT cool dramatically [i.e. more than a tenth or two of a degree, if at all] as a result. That is the question of the hour, now isn’t it? AGW advocates say to the deep ocean (without an substantiation – and some contradictory information as in Antarctic deep ocean cooling) or somehow vented to space (simialr to Dr Lindzen’s equatorial iris effect) the Argos data has been ‘misinterpreted’ by the scientists who deployed them (again without substantiation). Where is the missing heat? Haven’t you been paying attention? It’s simply taking “a bit of a breather” right now. But, not to worry, it will be back with a vengeance in 2009, no, wait make that 2010, no, 2012 for sure – never mind, we’ll get back to you on that. Sarc OFF. For those consensus people I want you to name we one, just one, single major advance in science that did NOT come at the expense of an expert consensus. jerker: The sunspot number in 1954 was very low (4) and such a low minimum has not been seen since [and only rarely before -[we have to go back to 1913 to see lower numbers]. Not even now in 2008. Yet 1954 was the minimum preceding the strongest cycle ever recorded. And we are trying to get away from statistics and attack the sunspot prediction with physical models. We have not been successful yet. Two very similar dynamo models predict very different activity [by at least a factor of two]. The coming cycle 24 may allow us to choose between the models. This is why the coming cycle is so important. Do you realize that, according to your title, you just predicted that the subsequent solar cycle will be 13 years long? What is very interesting to me is that Total Solar Irradiance has declined to record low levels over the past year. The previous two solar cycles show TSI more-or-less bottoms out about 1,365.6 W/m2 at the bottom of the cycle while we are now down to 1,365.2 W/m2. I believe this is contradictory to what Svalgard proposes in that, even at the bottom of the Maunder Minimum, TSI didn’t fall much below this bottom of the solar cycle level. I think the latest TSI numbers shows the Sun is, in fact, cooling and there is no definitive lower limit for TSI. A very fine article raising points that the AGW crowd ought to keeep in mind. I did notice a couple items to follow up on that were raised in preceding comments. First, leebert raises some good points about the coming cooler regime. The quote from New Scientist is enlightening in the way AGW believers approach a less dynamic sun. They seem to dismiss the high level of solar activity during the preceding century as having any affect on the warming that’s occurred but warn that possible solar inactivity will lead to a cooler climate that masks global warming. They want to have it both ways. This sounds less like science and more like a faith based approach to understanding reality. I find this an interesting approach as Fairbridge seems to be attempting to explain what might cause periods of solar inactivity. It appears different from most other approaches I’ve seen to date that compare previous cycles and attempt to extract predictions from past performance. This latter approach lacks understanding – it sees a pattern but doesn’t address the question as to why there is a pattern. As Fairbridge attempts to discover the why, he postulates that the alignment of the gas giant planets affects the solar center of mass and hence solar activity, I wonder if work was ever done examining if this effect would be different between alignments of the gas giants at apogee versus perigee in their elliptical orbits. I would expect that if alignment of the gas giants occurs at their perigee that the effect would be greater than if the alignment occurs at apogee. Bill: There is no consensus that TSI has fallen to the lowest level ever. There is also no consensus that TSI has increased. There are basically four groups that produce TSI measurements. One group claims an increase, one claims a decrease, one claims no change, and the last [SORCE] has only observed since 2003, so cannot say which way. One of things that has become clear is that the models we had of how TSI depended on other solar parameters don’t seem to work so well the last couple of years. We do not know what that means. Leif, I sure hope you’re right. But history says otherwise. What happens when large expanses of Canada and US farmland sees its productivity fall (remember lower temperatures means shorter growing season which means low crop yields), when rice corps fail in Japan, the Koreas and northern China, when the grainlands of Russia and the Ukraine wither, and when the Australian and Argentinean wheat crop yields fall? In 1900 the world’s population stood at 1.6 billion. It is now 6 billion. History shows that when the earth cools nasty things happen. They’re called the Four Horsemen and we (humanity) may soon fear them again. Leif Svaalgard: Thanks for commenting on this thread. Your comment about the earth NOT cooling more than a tenth or two… makes me wonder. Some claim the current bout of cooling is from the La Nina, but the global response to NINO 3.4 temperature, according to a Trenberth paper, is significantly less than the current decline. I’ve got a 0.09 scaling factor (global temp/NINO3.4) stuck in my head. I can go back and verify if need be. The recent NINO3.4 decline based on ONI is approximately 2.5 deg C, from a maximum in November 2006 of 1.2 to minimum in February of -1.5, yet the global temperatures have dropped much more than 0.25 deg C.
The recent Keenlyside paper suggests it’s the AMO, but Knight et al quantified global response to a peak-to-peak AMO on the order of 0.1 deg C, and we’re only a few years into a 30-year decline in the AMO, assuming the AMO peaked in 2005. If it’s not solar, what else is it? Leif: Excuse the typo. 0.25 deg C should read 0.225 deg C.
So if the sun carries on how it is now with very little activity, the UK will notice much of a difference this winter? We may actually see some snow for once? RHFrei: history shows that cold is bad [agreed], but not that the Earth will cool because of the Sun. Are we premature with our speculations? Shouldn’t we wait until all the solar observation data is ‘corrected’ by NASA? The inverse fourier x-form is particularly disturbing. If you view slope as a leading indicator of a wave form break point / slate transition, we are in for some challenging times. … history shows that cold is bad [agreed], but not that the Earth will cool because of the Sun. OK, I confess. I went to Mephistopheles and bought the Earth some solar offsets. It’s my soul, but its a good bargain against humanity’s great original sin of CO2. I figured it’d be better to rule in a CO2 Hell than to serve in a Green Heaven. Besides I was going to hell anyway. His study claims a -0.3 to -0.4 degrC change in GST during the Maunder. That’s modest compared to a less than a 1 degrC decrease in GST mentioned by you or your colleagues last year. “The slowdown we see now means that Solar Cycle 25, peaking around the year 2022, could be one of the weakest in centuries,” says Hathaway. Any sense of what magnitude downtrend or “crash” can be predicted by the implicit speed of the internal conveyor? Would the projected dip in SC 25 be already evident in some nascent trend in SC 23 – 24 transit? Or is this all so on the bleeding-edge of science that it’s anybody’s guess!? In any case, thanks for joining in with us knaves and apostates. Bob: No need to show [to me at least] that it has cooled a bit and that the PDO has turned negative [and will probably stay so for another 30 years]. Solar activity goes in ‘cycles’, some short ~11 years, some longer ~100 years, perhaps some longer yet [we don’t know for sure]. Some of these coincide some of the time with climate ‘cycles’. It has become convenient to dump everything on the Sun: “If it’s not solar, what else is it?” Fact is that in 400 years of looking, no generally accepted mechanism has been found for how the solar activity influences weather or climate. There is no lack of ‘crackpot’ theories [and a very few ‘scientific’ ones but with no legs]. At a recent sun/climate meeting I asked one of the modelers [David Rind] why some of ‘modern’ theories [like cosmic rays] were not included in their models. The answer was that the purported influence had not been ‘quantified’, let alone physically explained except in the vaguest of term and hence could not be modeled. I would love that the Sun was the culprit [would make my line of work potentially lucrative], but I have not seen how it might work. You tell me, but not by appealing to “what else can it be”. Hi all, just a lurker with nothing much to add, except maybe the observation that no-one really understands the earth’s climate, do they? And I keep hearing from so many that “the science is settled”. I wonder why. the longer cycle 23 should have been cooler than 22 and it was not. That’s a statement which requires error bars, or confidence levels. The only basis you can have to make that statement is whether you trust GISS and HADCRU’s definition of average world temperature for the early 20th century. From what I have seen GISS and Hadcru past temperature measurements are variable, and move down at whim. Leif, you cleverly volleyed the question back to me. Let me rephrase: If it’s not solar, and if natural oceanic oscillations can only explain, let’s say, half of the drop in current temperatures, what else is driving them down so drastically? papertiger: I guess the image wouldn’t show. My point was that the true difference between cycles 22 and 23 is the same for both statements regardless of error bars, and that FC-L’s ‘theory’ is simply misquoted by Archibald. It’s the other way around. Error bars have nothing to do with my pointing out that Archibald misquotes FC-L.
leebert: The Shindell 2001 paper was based on solar input [TSI] that has since been shown to overestimate the dimness of the Sun during the little ice age, so no wonder that they find a larger effect. The 1 degree change you quote is not my number. According to the same Hathaway, cycle 24 should be one of the biggest cycles ever. His prediction is in line with that of Dikpati et al. who also predict a very large cycle 24. Other people [including myself] predict the ‘smallest cycle in a 100 years’ based on the observed variation of the Sun’s polar magnetic field. That we disagree is a measure of the ‘state-of-the-art’. As should be evident, SC 24 will be a good test and show which is the more fruitful path to take. Now that the sun is quiet and the magnetic field essentially turned off, wouldn’t the time to study the sun’s affects on climate be now? Not when cycle 24 turns the magnetic field back on, deflecting all the atomic particles we could be measuring? What groups do we have out there who are actively measuring the terribly quiet sun? CERN has a recent paper out. Would CERN be classified as of the crackpot theory realm or one of the very few ‘scientific’ ones with no legs? Are those the only possibilities? Isn’t that a false dilemma? There are no other choices? None? DG: as Kirkby’s paper states: “solar-climate variability is likely to remain controversial until a physical mechanism is established”. His paper is a level-headed review, and concludes that the jury is still out on this. One problem for the cosmic ray mechanism is that, at least on a time scale of less than millions of years, we can’t get more cosmic rays than we get now at no solar activity, so it is hard to explain large temperature drops in the past [or the future] in this way. And are there no other choices? I don’t know of any. Pamela: the sun’s magnetic field is not turned off. The large-scale solar magnetic field is dragged out into interplanetary space by the solar wind. Even with no solar activity this interplanetary magnetic field is still there as a kind of ‘floor’ or background under which the magnetic fields does not fall. In numbers the field is now [at rock-bottom] between 4 and 5 nanoTesla [the Earth’s field is 10,000 times as large]. At solar maximum, the interplanetary magnetic field roughly doubles to 8-10 nT. There is intense activity concerning measurements of solar parameters by spacecraft and also on the ground. Thanks for the reply. I find your reply intriguing in that Shindell set a bigger drop in TSI to achieve the observed global cooling specifically for the Maunder Minimum. The Shindell 2001 paper was based on solar input [TSI] that has since been shown to overestimate the dimness of the Sun during the little ice age, so no wonder that they find a larger effect. Another possibility, OTOH, is that Shindell inadvertently overlooked other effects held over from the antecedent Sporer. Or perhaps wood-fuel aerosols prevalent at the time were more reflective than our contemporary observations would indicate. Would it help explain the severity of the middle LIA in that the Sporer had already ushered in the deeper coolth of the Maunder, perhaps via already-lower OHC? Either way, it may well that a minor decrease in TSI is required then to render a working climate model for the middle LIA, given other cooling factors that can also be applied. The 1 degree change you quote is not my number. Sorry, my bad. I guess that was a statement by Weiss. Solanki was saying something in the range of -0.2 degrC. I’m really not looking for precision, regardless. Again, not to turn your statement around, it’s hard to just set aside the apparent solar role in the LIA when there are other strong correlations between solar activity and climate found in mud core (net ocean productivity) and ice core data (C14 & Be10 if memory serves). I’ll be thinking about whether this sets the bar lower for climate sensitivity to a solar dimming (or solar brightening). I feel it reasonable to speculate a bit, but to remind myself I am speculating. IAC Shindell’s study was a nice first try but I hope it’s high time someone gave it another go with better constraints. That we disagree is a measure of the ’state-of-the-art’. As should be evident, SC 24 will be a good test and show which is the more fruitful path to take. I don’t even know where you disagree! Or why! But, hey, since you’re scientists that’s part of your job description. Wouldn’t it be odd that the conveyor could slow so substantially w/out any other contemporary effects? After all, if Hathaway’s conveyor theory has any merit, unexpected perturbations during broader regime shifts could only be modeled properly after the fact. I surmise it’s reasonable for a model to be predictive until an equilibrium shift where suddenly parameters are out of scope for the model. Makes me wonder though. I could imagine a whole-systems approach might entail the internal conveyor as well as the magnetic dynamo (but maybe not Landscheit’s astrology :-). And after all these years of fluid dynamics research, it looks like it’s still hard to do. I remember watching a geofluid dynamics lab with a vat of Van Camps chili beans burbling in a basement at FSU in Tallahassee. Is solar plasma all that different? One problem for the cosmic ray mechanism is that, at least on a time scale of less than millions of years, we can’t get more cosmic rays than we get now at no solar activity, so it is hard to explain large temperature drops in the past [or the future] in this way. And are there no other choices? I don’t know of any. I think it makes sense to expect most external flux parameters to have stable minimum baselines. Seems to me the contemporary sun is like that as well, that it’s still warming the Earth even if it goes through periods almost devoid of UV- & near IR-emitting faculae. And the baseline for geomagnetic storms is, well, zero (with a quiet ionosphere & lousy shortwave propagation). Just as with AGW isn’t this about a few gigawatts difference relative to the total petawatt-scale energy hitting the Earth or the terawatt-scale energy in the ionosphere during magnetic storms? The Milankovitch mechanism appeals from the paleo record, but there are problems like unexpected glacial synchrony across the equator. Glaciation should start in one hemisphere 500 – 1,000 years later than the other due to Milankovitch asymmetric hemispheric bias and the equatorial thermal barrier, but they don’t. Instead both hemispheres have glaciated simultaneously. A colder planet is a drier planet. And a drier planet is a colder planet until a base minimum is reached. Likewise a warmer world is wetter and a wetter world is warmer, until a maximum is met. So it’s not the heat, it’s the humidity. Surprise, surprise! Deriving CO2 climate sensitivity from the paleo record seems like a long shot to me. Then again we’re toward the top of a Milankovitch max, & tho nobody’s claiming we’re ready to head into a Milankovitch cooling, hey, it might be time. I doubt it, but who knows? SteveSadlov: Be very careful about ascribing any meaning to the end-points after a DFT/IDFT transform – DFT requires that the signal is repeating and hence the end-points join up, so the marked drop at the end is mainly there to match the low numbers at the beginning. The green one starts from a year with a high SSN, so it ends on a high as well (I’ve adjusted the harmonic to roughly correspond to the change in data range). I should flag this each time I produce one of these – sorry. Ow! Brain muscle spasm! My “middle school teacher” observation of the cosmic ray data led me to conclude that the magnetic shield must be turned off in order for these particles to be hitting the measuring plates here on earth (and in spacecraft). Thanks for the clarification. But in lay terms, and since I don’t have the vocabulary necessary to speak of detail, would you say that for purposes related to earth, the magnetic shield of the sun in essence gets turned off because it is going somewhere else? …and is the solar wind wind from the sun or is it more accurate to say that this wind is also universally cosmic in origin? What are the sources of this wind? Why is this wind sometimes weak and sometimes strong? I know why it is here on earth but what kind of pressure changes occur “out there”? Is the wind pulled or pushed? And can you help explain the twisting of the magnetic coils in the different sections of the sun? If these do twist, aren’t there equations that have been formulated regarding “twisting” mechanisms in general from the field of physical science? Finally, if the sun rotates at different speeds which theoretically is the source of the twisting, wouldn’t the sections from time to time, start together, much like a slightly off-timed set of windshield wipers? If watched long enough, the wipers set off in synch, if only for a couple of swipes. Couldn’t the sun do that too, for a couple of cycles or more? So many questions, so little time. Is there a rosetta stone language program for this stuff? leebert: Before ~2005, the various reconstructions of TSI had a large [several W/m2] drop back to the Maunder. This was put in there by the people (Lean and others) partly to match what they felt was needed to account for the little ice age, so there is a certain amount of circular reasoning here. What Shindell did was to show that that guess was not too bad. Unfortunately, studies of the Sun have shown that such a large drop in TSI is doubtful, so we are back to square one on that one. AB: We present two different time-distance techniques to measure meridional-flow-induced travel-time differences. We use GONG zonal spherical harmonic coefficients ( m = 0 ) and longitude-averaged time series for the 1995 — 2007 time period. Both data sets represents isolated waves propagating only in the North — South direction. We demonstrate that it is possible to obtain travel-time differences with lower turning point about 200 Mm, which correspond to the tachocline region. We do not see any evidence of equatorward flow. That is: the bottom part of the conveyor belt seems to be missing or at least not at depth where it was expected. Treatment of fluid flows within the Sun is vastly complicated by the fact that the fluid is electrically conducting. In fact, our models have given up and prescribe the flow [called a kinematic dynamo to cover up our ignorance with fancy words]. All of this is very exciting and is part of the normal scientific advance on many fronts. This is not a time to despair; rather to exult. We just have to be aware that we don’t know much about the Sun-Earth-Planet System to make long-term policy, except that it is always good , regardless, to be prudent and not squander resources, etc. I would concur-a wild guess is the best one can do. Anthony has blogged extensively on the problematic ‘Global Temperature’ so verfication will leave weasel room regardless and the TSI calculations (G&T) are pointless. Leif and Dave A. (2 degrees) differ by an order of magnitude. June 2, 2008. Mark the tape. The Canadians have been tracking solar magnetic activity since 1946. From their site: The 10.7cm flux is an acceptable proxy for solar energy output, ultraviolet flux, soft X-ray flux, sunspot number and area, and total magnetic flux. Their data agrees that we are in a period of a very quiet sun. pamela: The solar wind is simply the solar atmosphere boiling off into space because it is so very hot [a million degrees]. It drags the Sun’s magnetic field with it. The Sun is rotating [once in 25 days], so the wind coming from a particular point on the Sun is forming a spiral, like water drops from a rotation garden hose. The magnetic field thus has a spiral configuration. With increasing distance from the Sun this spiral gets wound tighter and tighter. The ‘wind’ is gusty and the wound and tangled magnetic fields impede the entry into the solar system of cosmic rays from the galaxy, so the stronger the wind and the field, the more cosmic rays are turned away. This whole process is most efficient when there are many sunspots so the will be a cycle in the cosmic ray modulation and also in the wind and magnetic fields that hit the Earth. WRT to the LIA, TSI is dead. Long live TSI. The conveyor belt is dead! Long live the conveyor belt! Hmmm. I’m an inquisitive fellow, but the internet isn’t as informative on this stuff as I wish it were. OK, careening off to another point of wild speculation …. [now hold your breath, here it comes] …..
Are aurora counted in TSI? OK, just bear with me for one more paragraph…. I’ve read that electrons from magnetic particle storms are purported to be quite warm, and a good particle storm brings in terawatts of energy into the ionosphere. And it’s my understanding that TSI is mostly just IR & UV bands, and that TSI can drop during big storms saturated from sunspots lacking visible faculae. What percentage of would be IR (or NIR potentially advected into IR) that could warm the upper atmosphere? These particle storms last several hours and bring with them terawatts of energy. I wonder how much of it is heat? It’s my understanding that 1 degr C of global warming equiv. to 1.7 gW/sec around the globe. But if solar storms are adding any amt of heat into the system, even a fraction of the terawatts of power I’d like to think that might be factored in to a broader model of solar influence. I’ve also read there’s a So. Atlantic Anomaly in the magnetosphere that permits the Van Allen belt to drop into the ionosphere. Apparently it’s a radiation hazard for spacecraft. Another locus of particle energy injection? Paradoxically I’ve read that cosmic rays may induce ozone-destroying NO2 that will rain down on the Antarctic and cause warming there (from a recent study). But if so for cosmic rays, then why not the same NO2 effect from highly energetic aurora particles? As for the conveyor belt, well, Hathaway seemed so pleased with his SSG motion data. Really though, it seems that a convective layer ought to have a convective current! Does Jupiter have one? 6: Any round planet heated from the outside [even the Earth] has meridional flows transporting energy from equator to the poles. Ow. Teach, my brain’s full. May I leave the room, please? Seriously, and commenting on process rather than content (for obvious reasons), what a beautiful thread! Poste and riposte, serve and volley, and all with abundant good humour, humility and erudition. This is exactly what the Interweb was made for. Paul – it’s nonetheless disturbing. Even without the end point effect, there is a break point. Events like Quebec ’89 when the aurora was almost on the ground still leads me to marvel at what the Earth endures from the sun. Solar flux is now at 66. It has been slowly decreasing over the few weeks. It is said that it can go as low as 50. What if it goes below that? If it does and it were a measure of blood pressure, one would begin to hear bells and whistles coming from the hospital room. “So. Atlantic Anomaly” = Burmuda Triangle? Atlantis? The South Atlantic Anomaly is a naturally occurring hole in the magnetosphere which allows the Van Allen Radiation belt to come into the actual atmosphere (where orbiting manned spacecraft actually fly), specifically the ionosphere. It’s an equatorial area that hovers just over the coast of Brazil & spacecraft electronics have to be switched off at times if the orbit crosses that area. Over the course of a big particle storm (several hours) where the sun spews gobs of stuff at us from a vast prominence, a 10 hour, 10 terawatt storm spread over the 10M m-2 of the Earth’s surface comes to 0.55 w/m-2/sec (20kw/m-2 div. by. 36,000 sec). I don’t know what heat from that can filter down from 60 km above the upper troposphere, maybe some dissipation coefficient? Below 50? Isn’t that when we send Bruce Willis with a rocket-full of nukes or something? leebert: 1 terawatt divided by the surface area of the Earth [as a disk] gives you 0.01 Watt per square meter. Then there are various factors of 4 to compensate for the Earth being a sphere etc, but I ignore all that to get an rough estimate. The auroral particles do not penetrate deeper than ~70 km or so. The aurorae is never ‘almost’ at the ground. what wreak havoc with electrical transformers are the currents near [and in] the ground and any conductors on the ground induced by the changing magnetic field due to currents up where the aurorae are. I found my math error from a cut & paste from a website which had the surface as 510 Mm-2. Off by 1000. That’d be 510M Km-2. I’ve been sick for the past few days, foggy brained. Thanks for your patience! So, yes, that’d knock it down lower than 0.01 w/m2. I recall the ionosphere nuke tests in the ’60’s that blew out equipment in Hawaii. Quebec ’89… perhaps they were just anecdotal accounts of the people saying it looked like the aurora was in the air, eyewitness accounts that the air glowed near the ground. Might’ve been ionization instead? I saw ball lightning once as a kid. I was looking down the street and saw a brilliant searing ball zipping down the cross street. After it zipped past the stop sign it let out one helluva boom. It might’ve just been the after flash effect of visual phosphenes, but at the time it seemed the air had a purplish hue. You are a good scientist and what you say above is sound advice. The devil is in the detail of how this is implemented. Should this be left to what is left of the free market and individual choice or should the government with the advice of “experts” dictate this? Oh, remove the quote marks from “experts”. I do not doubt their expertise, narrowly defined. I found my math error from a cut & paste from a website which had the surface as 510 Mm-2. Off by 1000. That’d be 510M Km-2. That would be off by a million, wouldn’t it? it Mm is millimeter, and Km is kilometer. 1 meter is 1000 milimeters, and 1 kilometer is 1000 meters. Of course Mm (mixed case) meant “Million meter” vs. “M Km” for Million Kilometer. They don’t pay me to type. Although I suppose it’s enough Leif is paying with his sanity indulging me in aurorae talk. Jeff Alberts, you have succumbed to unit confusion. Mm is not millimeters but Million meters. However, leebert may have been confused also. 510 Mm-2 is 510 times an area a million meters by a million meters. This is the same as 510 times an area a thousand kilometers by a thousand kilometers. This is the same as 510 million square kilometers (510M Km-2, Leif’s figure). I think leebert’s error was in interpreting 510 Mm-2 as 510M m-2. See the difference? Low solar output is disappointing. I was hoping to get a grant to sell refigerators to eskimos and have Al Gore help me to invent a CO2 furnace. And of all the horrible details! W/out a semantic standard handy “Mm-2” vs. “M m-2” look a heckuva lot the same to my old eyes. I can quickly surmise what “M km-2” means, but “Mm-2” is obviously not a convention I’ve seen before. Hey – I see a sunspeck! It may not last long, there isn’t much magnetic support. Low latitude, I forget what the magnetic field is supposed to look like, but probably yet another last gasp from cycle 23. Yawn. Leebert and Alex, thanks for the correction. I aint very edumacated. Based on recent research (Tinsley, Yu, Palle, Svensmark, Shaviv, and so on.) a solar magnetic cycle interruption will result in long term higher GCR (Galactic Cosmic Rays) levels. The research I have seen shows that the increased ions produced by higher levels of GCR, will increase the amount of clouds over the oceans (atmosphere above the ocean is ion poor as compared to the atmosphere above the continents, as the continental rock is slightly radioactive.) More clouds colder planet, less clouds warmer planet. There were three recently published papers that predicted a solar magnetic cycle change to a Dalton or Maunder like minimum, for cycle 24: one analyzed past solar barycentre motion which correlates with deep solar magnetic cycle minimums, a second based on an analysis of the paleo cosmogenic isotopes (again that correlate with deep solar cycle minimums), and a third based on a physical model. 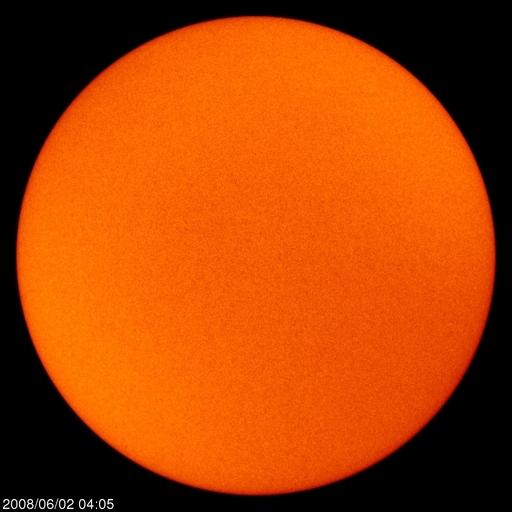 The following is the 2004 paper that predicts the sun is heading towards a Maunder minimum based on an analysis of the paleo record of solar activity. This is the 2003 paper that predicts a solar cycle minimum based on a physical model. The solar barycentre motion theory hypothesizes that specific motions of the sun about its barycentre, interrupts the formation of the magnetic ropes at the solar tacholine (Tacholine is the interface to solar radiative zone and convection zone.) With the barycentre hypothesis a Maunder minimum is an interruption to the solar magnetic cycle as opposed to a slow down. William: what do you mean by a solar cycle ‘interruption’? That the magnetic polarities don’t reverse? If so, observations show that solar cycle 24 does have the expected reversed polarities. This is only a theory, of course, just as is the prevailing but nonetheless theoretical solar nuclear furnace core supposition. Overwhelming and diverse evidence strongly suggests there is no nuclear fusion taking place in the sun’s core. Instead, the sun, like its dormant companion Jupiter has a large planetary core surrounded by an abyssal sea of liquid hydrogen, metallic at the point it impinges upon the terra firma core. Above the liquid hydrogen sea is a layer of hydrogen gas, all of which is encapsulated by the relatively thin, roiling plasmasized photospheric sheath. The predominant reaction taking place in the photosphere is molecular hydrogen being converted to atomic hydrogen and back to molecular again under the influence of immense electrical forces. The only fusion taking place in the sun is in the photosphere where fresh molecular hydrogen gas breaches through the photosphere we call a sunspot. In the process of the freshly emerging hydrogen being converted from molecular to atomic and back again, it becomes entrained in powerful concentric magnetohydrodynamic flows that can be described as nothing less than a natural solar cyclotron!! I have a theory as to what causes sunspots that is inextricably interwoven with the above theory of the sun’s actual composition.